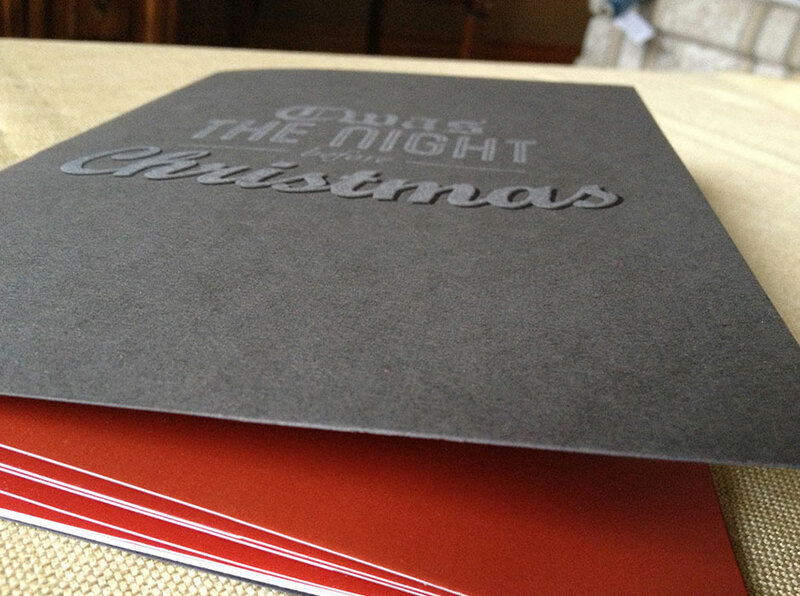 A typographic rendition of the children’s Christmas classic, ‘Twas the Night Before Christmas. 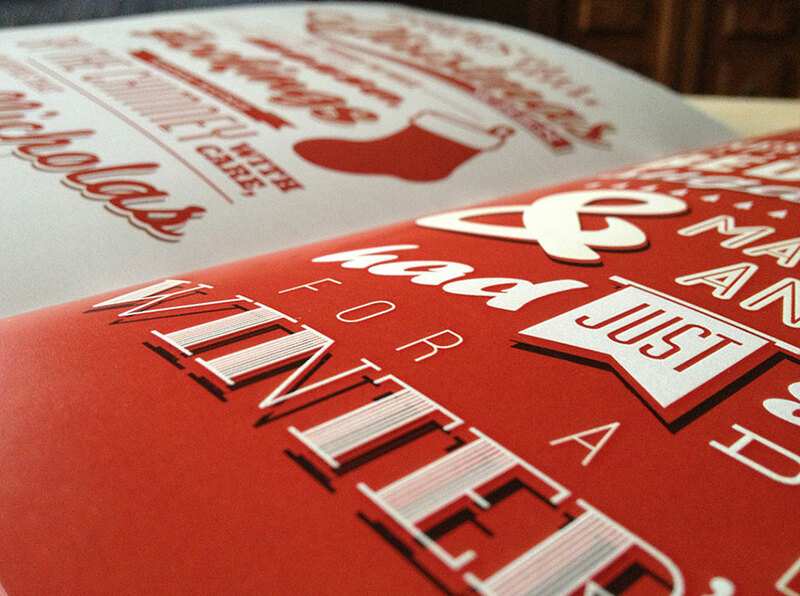 My favourite: A typographically-rich rendition of the children’s Christmas classic, ‘Twas the Night Before Christmas. This 16-page booklet was a self-driven personal project that was motivated by my love of typography. It features beautifully laid-out pages with strong, descriptive typography, and a dark oxford charcoal cover printed with letterpress to wrap the pages. Dark oxford charcoal coverstock, letterpressed! The first and second pages.